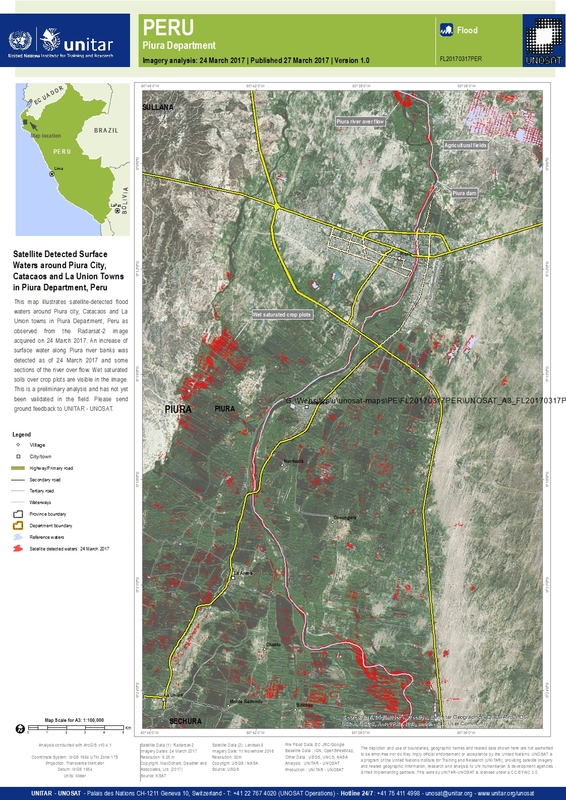 This map illustrates satellite-detected flood waters around Piura city, Catacaos and La Union towns in Piura Department, Peru as observed from the Radarsat-2 image acquired on 24 March 2017. An increase of surface water along Piura river banks was detected as of 24 March 2017 and some sections of the river over flow. Wet saturated soils over crop plots are visible in the image. This is a preliminary analysis and has not yet been validated in the field. Please send ground feedback to UNITAR - UNOSAT.